The Yorkshire terrier originated in Yorkshire which is a place in northern England. In mid 19th century workers from Scotland came to Yorkshire in search for work. They brought different varieties of small terriers with them. Earlier they are known as Broken Haired Scotch Terrier and then Toy Terrier. 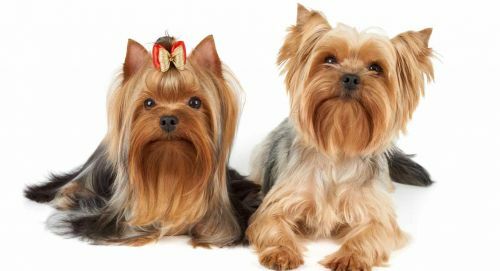 In 1874 they were officially named as Yorkshire Terrier. They begun their journey as hunting dogs and later developed as companion dogs. AKC registered the breed in 1878. Yorkies are one of the glamorous member of the dog breeds. They have excellent personality as their owner will be surely proud of them when taking them in public. They like to go outside and make adventures. They are good companion dogs and watch dogs too. They are very affectionate with their owners. 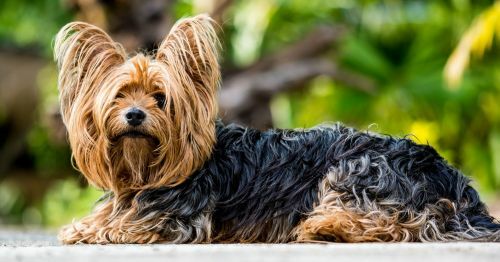 Yorkies always bark when any stranger comes and they should be taught about neighbours and when to bark. They will get angry on seeing new dogs and surely chases squirrels. They like to spend more time with their people. Leaving them alone for long time is not good. Yorkies should be treated gently and with love. They love to spend time with older children. They love apartment life if they are made to play and walk daily. 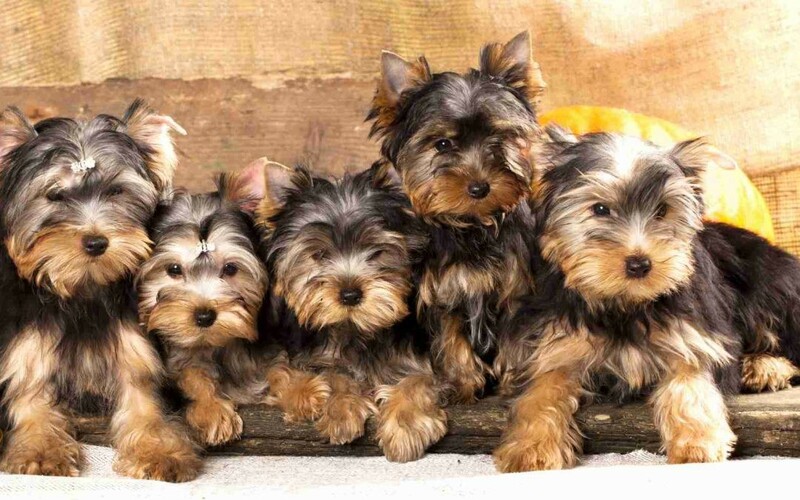 Yorkies are the second most popular dog in America. 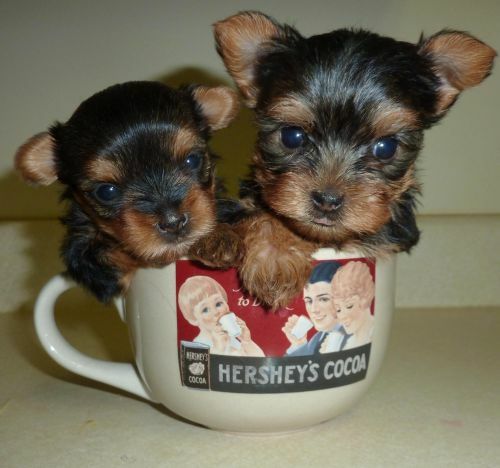 Yorkies have possibilities of having hip dysplasia, elbow dysplasia, hypothyroidism and von willebrand's disease. Usually yorkies don't shed more. They have long, silky and straight hair. They should be made to bath weekly once. When you change the puppy food from liquid to solid initially you must give what the dam is having. This is to avoid digestive problems when new food is introduced. The level of liquid food should be reduced in a step by step manner and thus increasing solid food gradually. You have two choices and one is manufactured dog food and another is home cooked food. Commercial brands are not suggested as they contain artificial coloring and chemical preservatives. Vaccinations should be made at the right time. The food given should be the best. They should be taught tricks by giving rewards. Exercising them has benefits such as maintaining muscles, release pent-up energy, good for heart, good metabolism, good sleep and be active. Yorkies are not so much friendly with children. It is not advised to leave them with children without adult supervision. They were previously used to catch rats and hunt badger and fox. They are excellent watchdogs and defend their territory very well. They adapts well for apartment living. But they will not be happy if leaved alone for a long time. 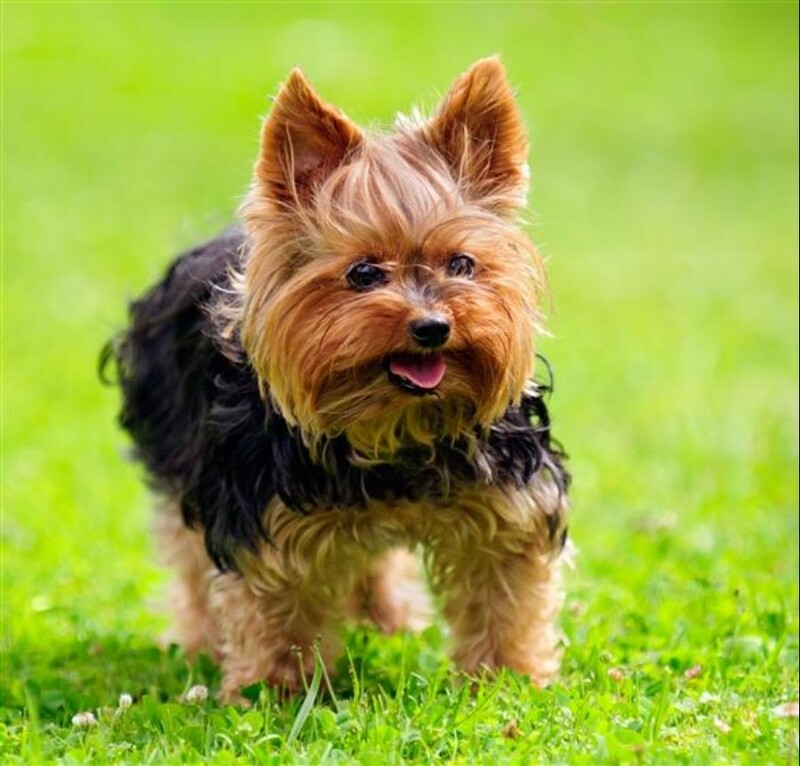 Yorkies cannot tolerate too hot or cold weather. They are moderately easy to train. Yorkies should be trained early when they are amenable to process. Sessions should be conducted with lots of treats and must be short as they will easily get bored.